Content marketing is one of the fastest growing, and most effective, digital marketing strategies available to small businesses. In this article we will explore what content marketing is and why it is important for small businesses. 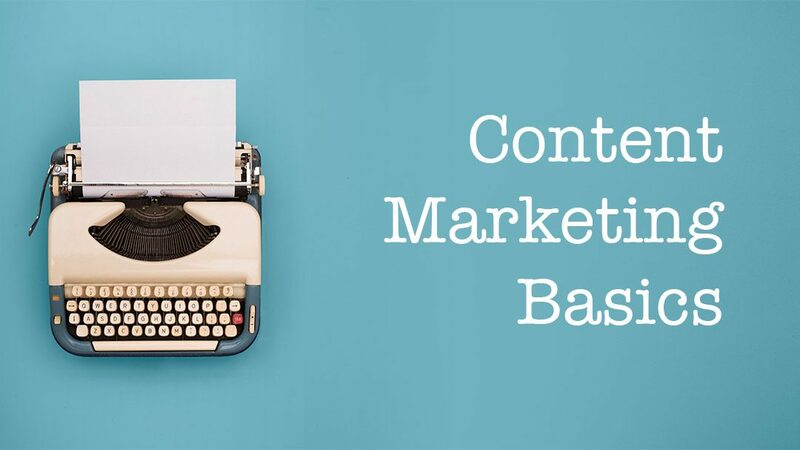 At its most basic, content marketing is a digital marketing strategy centred around creating, publishing and promoting valuable, relevant content to consumers. This content commonly includes a mixture of blog posts, photos, e-books, guides, videos, webinars and infographics. The goal of publishing this content is to increase the reputation and visibility of your brand. Content can take many forms, the most popular being blog posts, e-books and infographics. The way consumers do business is changing. Rather than going straight to retail stores, more and more consumers are first searching the internet for information on products and services. In fact, a 2014 study found that 81% of consumers now research products online before making a purchase. A 2016 study by Demand Gen Report also shows that 47% of consumers read at least 3 pieces of content before talking to a sales rep. Content marketing is a direct response to these changes. Successful content marketing strategies combine SEO, social media marketing, e-mail marketing and analytics to create a complete marketing strategy. SEO must be considered when creating content to ensure it can be seen. Social media and e-mail marketing are then used to help promote content to existing customers. Analytics data is also used to check results and improve future content. 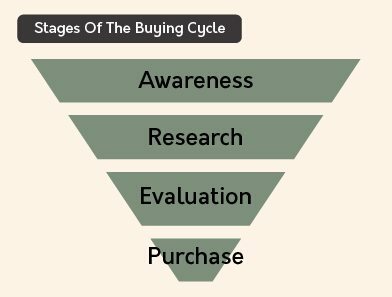 To really understand why content marketing is so effective for small businesses we must first take a deeper look at the consumer buying cycle, here broken into 4 parts. In the first stage, awareness, consumers become aware of a need. Although they are now aware of the need, they are not yet aware of any solutions to it. Next comes research. Once a need is recognized, consumers will begin searching for a solution to it. Once they have enough information, consumers begin to evaluate the different solutions presented to them. They evaluate each option by looking at their perceived value. Value is the difference between the benefits and cost of a solution. The greater the difference between the benefits and the cost, the greater the perceived value. In the final stage consumers choose the solution with the highest perceived value and make a purchase. Before the rise of the internet, almost all of the consumer buying cycle took place in retail stores. Once a need was recognized, consumers would talk to their peers and make their way to a few stores to research solutions to their problem. After talking to a few salespeople, they would evaluate their alternatives and make a purchase decision. Today, most people do not enter a store without already having done some research. Many only walk into a store after already deciding on what to purchase. This change in the consumer buying cycle poses a problem for traditional advertisements. Advertisements are generally designed to catch consumers at the third stage of the buying process. They promote sales and demonstrate value to consumers. They are designed to sell consumers products or services that they have already researched. The problem with this approach now is that consumers in the research stages of the buying cycle are not looking for sales, they are simply looking for solutions. Seeing an ad for a sale isn’t too helpful when you don’t even know what you want! If your brand and your message don’t get in front of customers as they research solutions to their need, you will have a much harder time selling them later in the buying process. By the time consumers have researched different solutions and made their choice, your solution could already be out of the running! Content marketing catches consumers as they research. It is designed to draw consumers to your website with valuable content explaining how to solve their needs. This content then demonstrates how your products and services can help them solve their problem. Content marketing also demonstrates your expertise in your field; increasing consumer confidence in you and your business. How Does Content Marketing Benefit Small Businesses? Studies show that over time, content marketing costs 62% less than traditional marketing methods. Per dollar spent, it also generates around 3 times as many leads as traditional marketing (per Demand Metric). If your content is very good, consumers keep coming back when seeking answers for related questions. As a result, these consumers begin to see your brand as an authority in your industry. With this increased authority comes increased trust from consumers. Consumers are always looking for an expert opinion; content marketing helps ensure that expert is you! Having more content gives search engines more content to crawl, giving you a better chance of ranking for different keywords. The more content you have, the more website traffic you will get. An increase in website traffic acts as an endorsement from consumers that your website has relevant and valuable content. Search engines will notice this and begin to rank your website higher. People love to share great content. Every time someone shares a piece of your content, a link is created that points to your website. These links also indicate relevancy and quality. The more links your website has, the higher it will rank in search engines. When done well, content marketing builds lasting relationships with consumers. If consumers like your content, they will keep coming back for more. Over time this leads to an increase in their brand loyalty. Once consumers have finished researching solutions to their need they begin evaluating different options to solve their need. If you’ve written compelling enough content and demonstrated expertise in your field, your name should now be on their list of companies to contact. Leads from content marketing are typically very qualified. They come from consumers that have researched solutions, have already interacted with your brand, and have an understanding of what solutions you provide. When consumers land on your website, even if it’s just to read a blog post, the distance between them and your products becomes smaller. Some consumers will come to your website looking to solve one need and notice that you also have products that solve a different need of theirs. Others will discover a need later and remember that your company has a solution. Content marketing will likely not start paying dividends right away. It takes time for you to produce content, and it takes time for search engines to find and index that content. If you keep at it, however, you will notice your results continually improving with time. There are a few reasons for this. The SEO benefits of content marketing compound over time. More website traffic, links and social shares means your SEO increases, which leads to more traffic and even higher SEO! Well written content stays relevant for years. Unlike advertisements, which are typically only relevant for a few weeks, a piece of online content is usually relevant for years. This allows you to build a library of solutions for your target market. The brand loyalty benefits of content marketing also compound over time. As consumers keep coming back to read your content, their loyalty to your brand continues to increase. Not only are they then more likely to purchase from you, they’re also more likely to recommend you to others. Content marketing is a long-term strategy. It requires a lot of time and effort to do properly and can take a while before you start to see results. While at first you may go months with nothing to show for it, keep at it. If your content is good enough, consumers will start to find it. 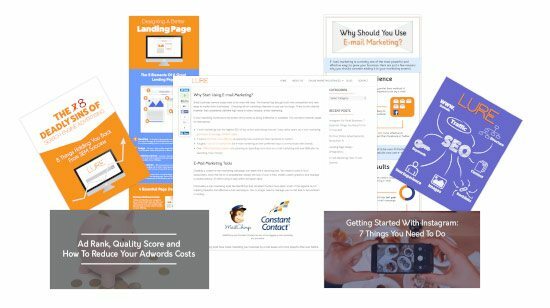 When they do you will start reaping the rewards of better SEO, more website traffic, better brand recognition, and more qualified leads for your business!